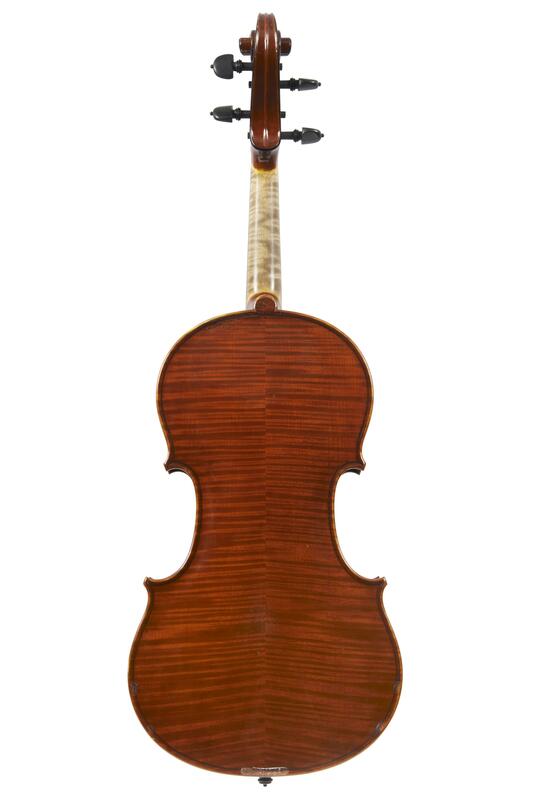 We are delighted to be offering a quartet of instruments made by contemporary Cremonese luthier Maurizio Tadioli in our March auction. 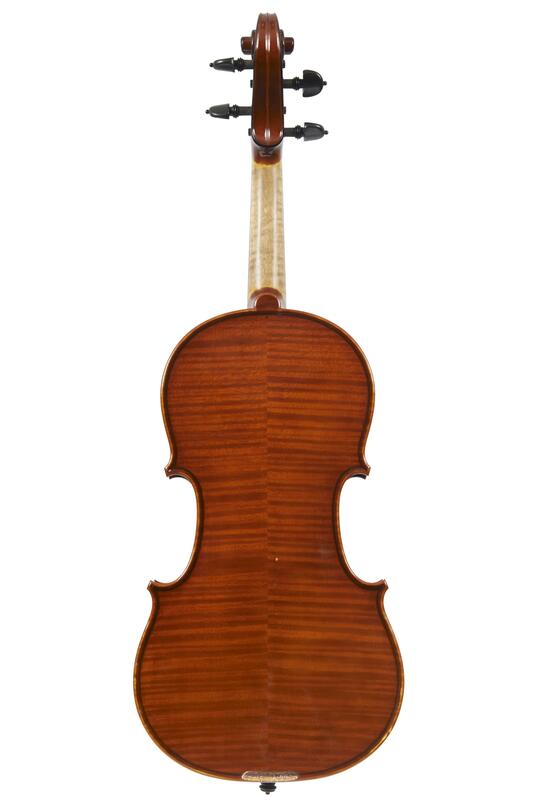 Born in Cremona in 1967, Maurizio Tadioli was introduced to violin making as a child by his maternal grandfather, Carlo Pizzamiglio. Carlo was a prisoner of war in Egypt during the Second World War, and it was during his interment that he taught himself to make violins using wood and tools at his disposal. Remarkably, he managed to make some 40 instruments whilst held as a prisoner. As well as learning the secrets of lutherie at his grandfather’s knee (his own father was a mechanic by profession) you could say that it was young Maurizio’s destiny to follow in the great tradition, living as he did in the vicinity of Cremona – the spiritual home of violin making. It was a natural step for young Tadioli to attend the Scuola Internazionale di Liutieria in Cremona, from which he graduated in 1985 with the highest grades. It’s clear that Tadioli has a deep respect for tradition but I’m interested to know how he feels about a slavish reverence for the past. Where does he stand on the controversial topic of antiquing, for example? Some purists think new instruments should be honestly ‘fresh’, whilst others see artistic ageing as an homage to the violin’s heritage. "I start with the sound the musician is looking for and once I know that I’ll be led to the right model." "When it came to the viola, of course I had no Guarneri del Gèsu to copy...The final piece had a 41cm. 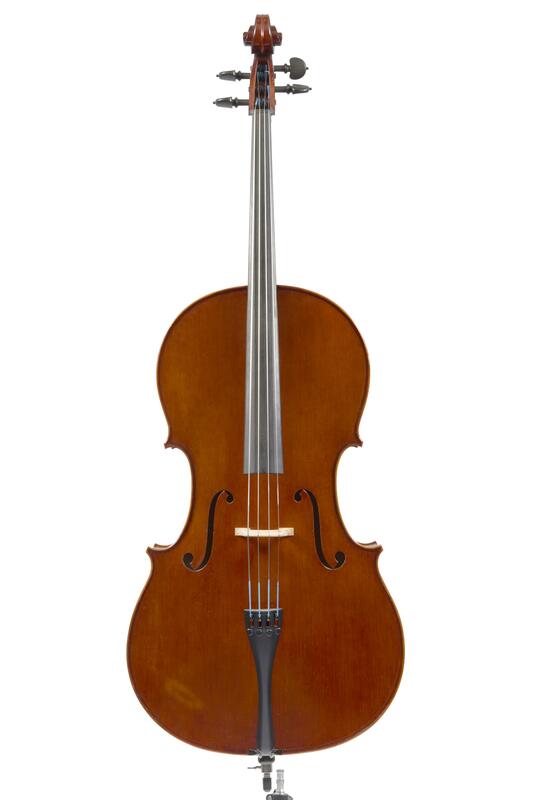 back, and I was delighted when it produced a distinctly sweet Guarneri del Gèsu sound. It worked!" Maurizio’s list of awards is long and impressive (see his website) and he has won various medals for his work, including a Gagnacavello Concorso Giovani Liutai gold medal. 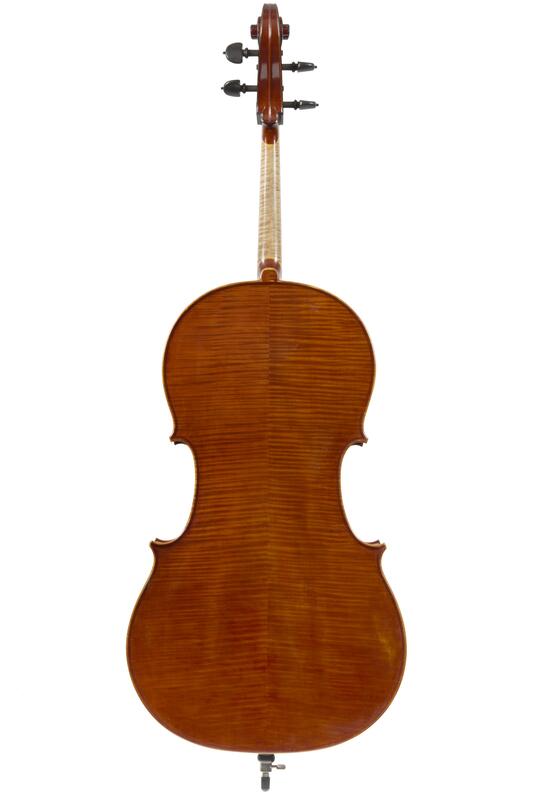 A baroque violin by Maruizio Tadioli which was made in 1984 is now exhibited at the museum of the International Violin Making School in Cremona, which means he has already become part of the Cremona tradition he was so enamoured with as a child. Driven by passion, his workshop in Cortetano, a small village near Cremona, is described on Tadioli’s website as “a natural meeting place for both musicians and luthiers from around the world.” It strikes me that a collegiate feeling, that of belonging and being connected to a like-minded community, is important for this luthier. And what about where it all began? I’m keen to know if Maurizio Tadioli possesses any of his grandfather Carlo’s violins. “Yes! I bought two of them at auction! Because of the conditions in which they were made, you can see the poor quality of the wood. But of course I am very proud of them.” The passion in Tadioli’s voice seems typical for a man obsessed with looking both forward to new skills and back to the the secrets of the past. 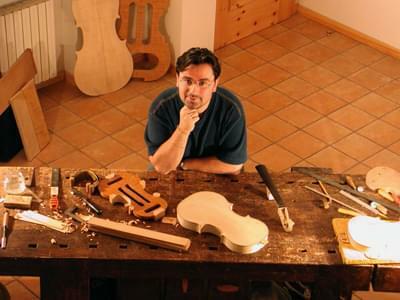 This Cremonese luthier’s journey continues.